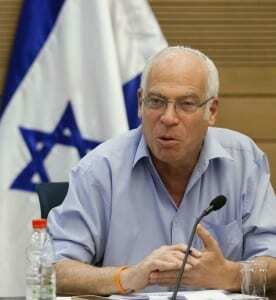 Israeli Minister: Remove Arabs From Area C and Annex West Bank; "It's Ours" - Breaking Israel News | Latest News. Biblical Perspective. In response to recent peace overtures by Israeli Prime Minister Benjamin Netanyahu, which would involve ceding land to the Palestinians, Uri Ariel, Israel’s agriculture minister, suggested instead that Israel should remove “a few thousand Arabs” from Area C and then annex it, The Times of Israel reported. Israel maintains control over security and general land management in Area C, a portion of land that constitutes about 60 percent of Judea and Samaria. It is estimated that 325,000 Israelis live in Area C, while the exact number of Palestinians is hotly contested. B’Tselem, a leftist Israeli NGO, has reported it hovers around 300,000, while more conservative estimates place the population at around 75,000. Ariel’s recent statements contradict his previous proposals that Israel should annex the entirety of Judea and Samaria and give the Palestinians the status of “permanent resident” in the newly expanded Israel with the possibility of full voting rights, reported The Times of Israel. Due to the hefty Palestinian population, any form of evacuation would be quite an undertaking, making his latest suggestion one that is hard to digest or even implement. “We would remove a few thousand, who do not constitute a significant numerical factor,” he added. The minister did not specify exactly how the Palestinians would be removed, or where they would be relocated. 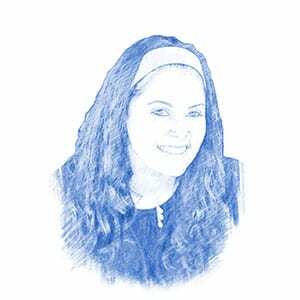 Ariel’s comments come amid Netanyahu’s recent initiatives towards a solution consisting of ‘two states for two peoples’. Netanyahu’s gestures have thus far been proven unsuccessful, as Palestinian Authority President Mahmoud Abbas has all but refused to appear at the negotiating table so long as Israel continues construction. Regardless of the initiative’s failures, Ariel has voiced his disapproval of the two-state solution, saying that rather than giving a state to the Palestinians, Israel should annex Area C and allocate a proper sum of money, some $2.6 billion, to drastically improve the lives of those who live there. Further, the minister threatened to resign should the government follow through with ceding land to its Palestinian neighbors. Relinquishing any Israeli land as a means for a two-state solution is heavily disputed among religious and political authorities worldwide. Some even hold it goes directly against God’s intentions. Last month, dozens of Israel’s leading rabbis convened in Jerusalem at the Emergency Conference for the Security of the Nation of Israel in the Holy Land to protest the idea. “God’s plan has been to give Israel to His people, not to anybody else…It belongs to the Jewish people…Nobody gave us permission to hand over any part of Israel to anybody else,” said Rabbi Shalom Gold, founder of Kehilat Zichron Yosef, at the time. Though his idea may have some merit, Ariel’s proposal evokes a strong reminder of the consequences of forcibly removing thousands of people from their homes, such as that which occurred following Israel’s withdrawal from Gaza in 2005. Approximately 9,000 Jews were evicted from the Gaza Strip and Northern Samaria in an effort towards peace. But the pullout took a toll on the once-thriving employed population: 11 years later, several hundred people are still badly in need of outside assistance to afford simple necessities.